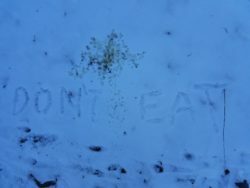 I am sure that if you have been keeping up with the posts of almost anyone on the trail they have bitched and moaned about the winter system that moved through about a week ago. It’s my chance now! Except I have a slightly different point of view as a boy from far south of the Mason – Dixon line learning how to handle a life below freezing. I actually missed the first winter system; I was taking two Zero days in a family member’s lake house on Lake Hiawassee (Thanks Ed and Tammy!!). But once again in a truly overly confident manner, I decided to go back on the trail in time for the worst of the winter weather. I actually wanted to get back out there because I knew how bad it was going to be and figured I wanted some crazy experiences and in a way to prove my “manhood” (or insanity). Walking into Plum Orchard Gap I would probably have been floating from excitement if it weren’t for my ridiculously heavy food bag. 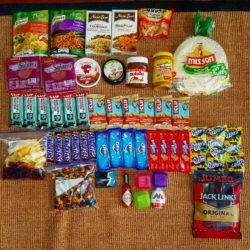 Having a mother from the south didn’t help my ultralight dreams as she made sure I had enough food to keep me, and a small village it seems, alive for an extra day or two in case I was snowed in. A good thought but completely unnecessary in hind sight. The first night actually wasn’t bad, I almost even got warm! The next day was big because I finally got to get out of my first state and into North Carolina! Welcome to North Carolina! Piss Off! Let me tell you, North Carolina threw a giant “screw you” as soon as I walked in. Bly Gap, less than a quarter mile in, was a wind tunnel. Temperatures dropped well below freezing, winds came up to 30 mph gusts, and the trail went straight up a mountain. About half way up that mountain I looked down to see where I had come from. It was actually quite pretty, almost peaceful if it weren’t for the biting winds. That’s when suddenly a freaking wolf went running across the gap where I had just been. No, not a coyote, a full blown freaking wolf. At least that’s what my super tired and stressed mind decided until I realized it was just a husky. I just thought my heart was pumping going up the climb but that shot of adrenaline was a whole new level! The rest of the day wasn’t quite as exciting. In fact it was just down right cold. I ended up walking past my planned shelter because I knew if I stopped I would be miserably cold. I ended up getting into Standing Indian Shelter around 6 P.M., made dinner, and immediately got in my sleeping bag. Sleep was difficult to maintain that night. 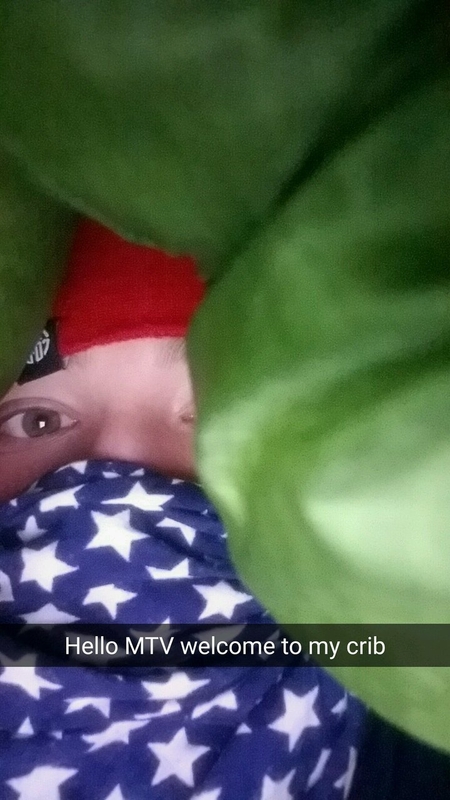 I had every piece of clothing I could find on my body and I was in a 15 degree bag. The extra clothing definitely helped but here’s the thing about degree ratings on sleeping bags, they are dead serious about the exact temperature that they are good to. A 15 degree bag will NOT keep you warm in 14 degree weather. That night it hit single digits with wind chills going to -15 degrees. Needless to say I was absolutely freezing. It got to the point where I ended up snuggling a little closer to a grown man I have never met before just to keep warm. He wasn’t just any grown man though. Oh no, this man’s trail name is Bad Santa, an older man who does look like Chris Kringle but who doesn’t share his jolly feelings towards cold weather. Not to mention his sleep apnea nearly brought the shelter down around us. So I spent the night in the fetal position at the bottom of my sleeping bag with the floors of the shelter rattling due to the violent snores of my new favorite trail character. When morning came no one in the shelter moved, not until 10 o’clock at least. When I finally took my food bag down I no longer had Tabasco sauce and instead a Tabascicle, literally a bottle of Tabasco frozen solid. It was because of that night that I realized snow and cold weather isn’t as cool as I had previously thought. For about three days my Sawyer filter never left my side, not even during the day because the highs were still well below freezing (frozen filters don’t filter well). Even worse was my base layer didn’t leave my skin for nearly a week and I literally had to peel it off. The stench was most oppressive! At that point I could not have cared less. Within a few days all of the snow was gone and now it’s just a cold memory more than anything. At least now I can say that this southern boy can hang out in some of winter’s worst weather. 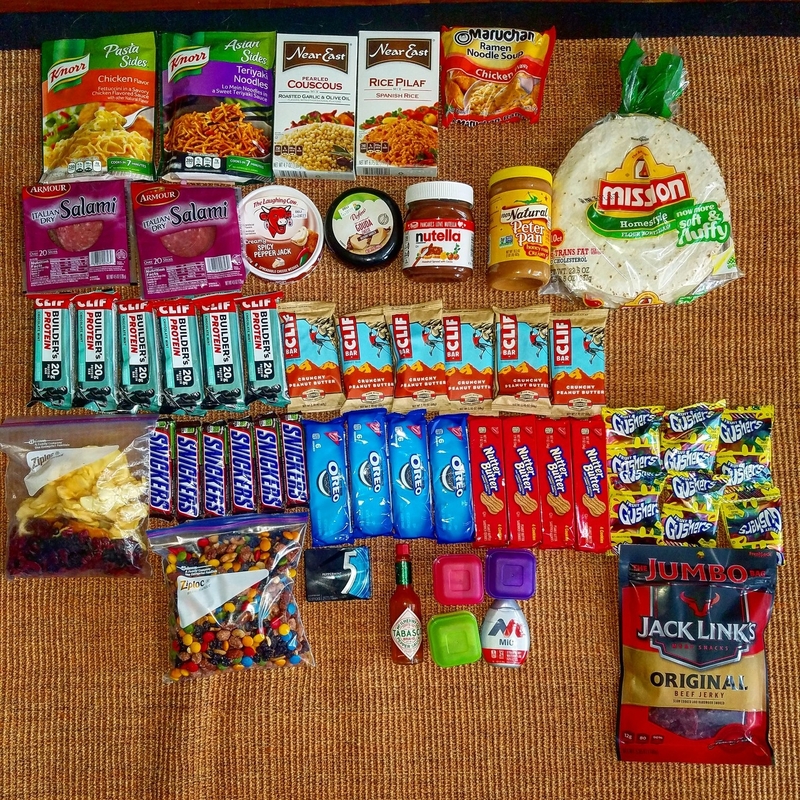 Oh and the extra food? I ate it all out of boredom. I just got info about your blog and read everything you have posted so far. I’m delighted you have made this dream come true, and very grateful I get to read your blog. Thanks! I just got info about your blog and read everything you have posted so far. I’m delighted you have made this dream come true, and very rateful I get to read your blog. Thanks! Finally figured out how to get to your blog at least this time and now that your freezing time is hopefully behind you, it was kinda “fun” to read. Love ya.